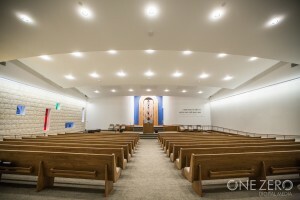 With a variety of venue space, Temple Beth Sholom can offer a unique atmosphere for any event. 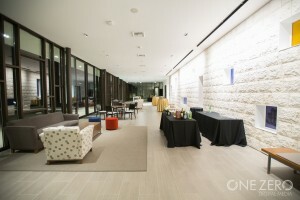 Our venue is able to accommodate any event imaginable, from weddings to small conferences, cocktail parties to gallery exhibitions. Our newly remodeled venue offers the latest in technology demands to cater attendees, including free Wi-Fi, live streaming, surround sound and multiple 72” flat screen televisions. We also offer state of the art 24/7 security including security guard for any event. Let us help you create your next event! At 1,752 square feet this area is a modern and sophisticated venue featuring floor to ceiling glass windows allowing for natural light to spill throughout the space. The oversize sliding glass doors grant guests an easy access to the outside Patio and Rose Garden. This area is suitable for pre-function events, cocktail hour, meet and greets with speakers, a reception area or a gallery exhibition; it will accommodate a maximum of 250 people. 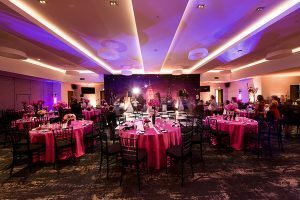 At 4,300 square feet, this beautiful contemporary area with chandelier lighting is a wonderful room to hold Weddings, Quinceaneras, Seminars, Conferences, Lectures and many more Special Events at a maximum capacity of 300 attendee’s sit-down dinner style or 600 theatre style. At 3,000 square feet with multiple colored glass windows that blanket the imported Jerusalem Stone it is a perfect venue for Weddings, Quinceaneras, Vow Renewal or Funeral’s. The Fainbarg Family Sanctuary is able to accommodate up to 600 attendee’s theatre style when the partition is removed. Guests are also able to see the special event in the Sanctuary from the Social Hall on 4 individual 72” flat screen televisions or live stream via the internet. Any event or caterer will be able to take advantage of the full service gourmet kosher style kitchen which includes 2 freezers, 3 refrigerators, a 6 burner stove, 2 convection ovens, 2 large capacity sinks, and stainless steel countertops. Also, newly remodeled, this kitchen has two entries from the Social Hall for organized movement of food as well as its own direct access for convenient set up. At 800 square feet, the boardroom, and at 700 square feet, the library, are connected to accommodate 40 attendees with Wi-Fi access and a 72” flat screen television for presentations. At 200 square feet each of the 6 break out rooms is capable of hosting 40 attendees and can be equipped to meet all business needs including Wi-Fi access. At 838 square feet, this is a beautiful circle shaped open floor plan with high glass paned ceilings that will leave guests breathless. At a maximum capacity of 100 attendees this space is a perfect venue for small Weddings, Quinceanera ceremonies or an extension to a Gallery Exhibition. At 7,000 square feet area, this is a stunning simple open space Patio & Rose Garden. 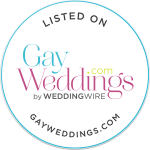 Capable of hosting a variety of events including pre-function brunch, reception, or an intimate outdoor wedding. In the evening the walkway is illuminated softly to guide the guests through the peaceful Rose Garden to the artistically lit Winston Family Living Room and onto the main event.